Online Application Fee: Rs. 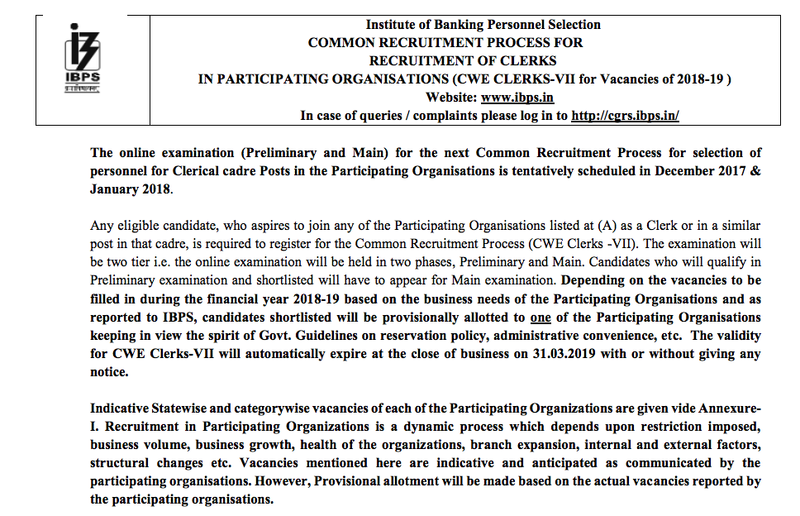 100/- for SC/ST/PWD/EX-Service Man candidates and Rs. 600 /- for all other candidates. A degree (Graduation) in any discipline from a University recognised by the Govt. Of India or any equivalent qualification recognized as such by the Central Government. Final result should have been declared on or before 03.10.2017. Computer Certificate: Candidates should have Certificate/Diploma/Degree in computer operations/Language/ should have studied Computer / Information Technology as one of the subjects in the High School/College/Institute.